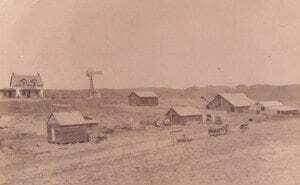 Theodore and Elizabeth Praest Ridder moved to Callaway in 1907 from northeastern Nebraska in search of more land for their growing family. 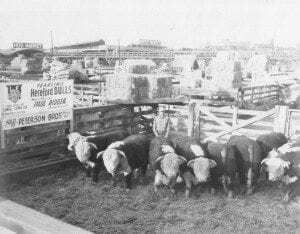 Both of their families had emigrated from Westphalia, Germany in the late 1800’s. 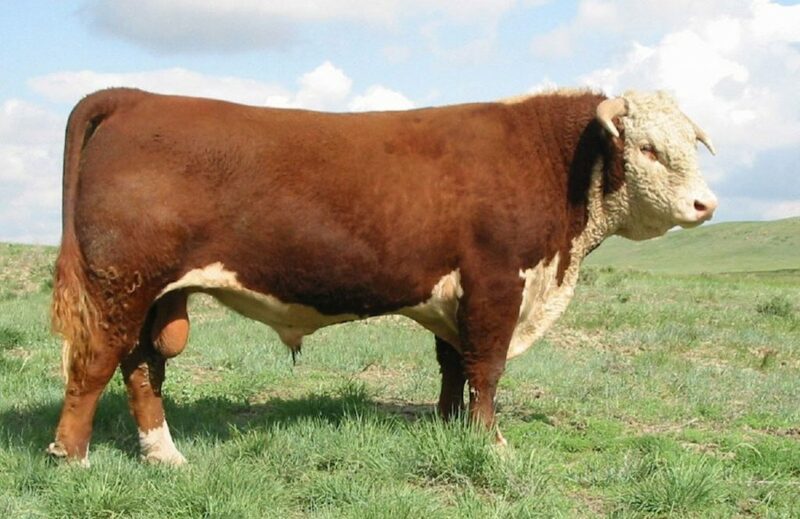 Their son Paul, the youngest of 12 children and a Naval Aviator and pilot instructor during WWII, decided to forgo college and instead purchased the ranch from his parents who had been showing carloads of Hereford Bulls at the National Western Stock Show in Denver in the 1940’s. Ridder ranch west of Callaway, 1910. 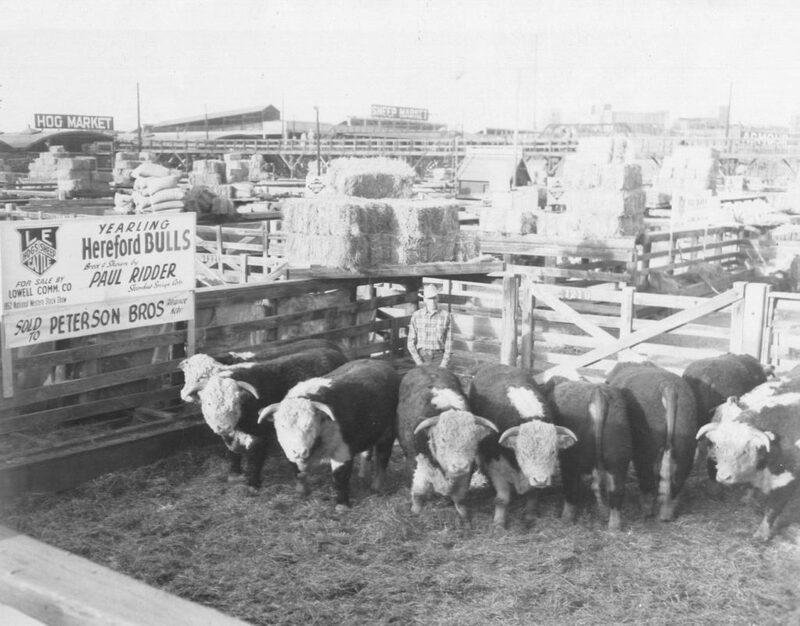 Ridder family, 1928. Theodore, Paul & Elizabeth are front center. 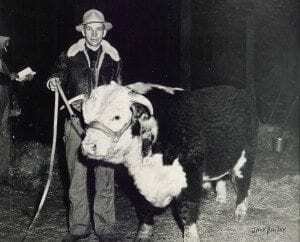 Paul in 1948. 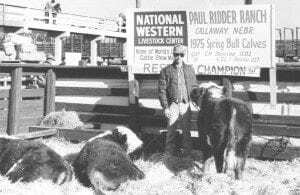 Paul and Marianne’s oldest child, John, graduated from Colorado State University at Ft. Collins in 1971 with a degree in Animal Science and minor in Ag Economics. 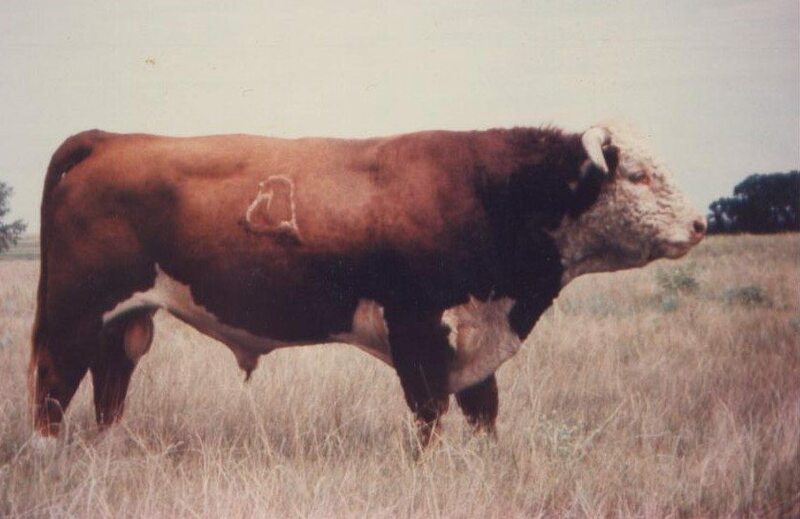 He took over management of the ranch in 1972 following the sudden death of his Dad. 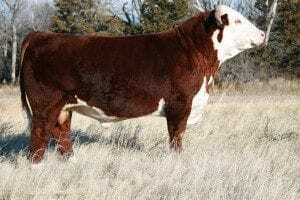 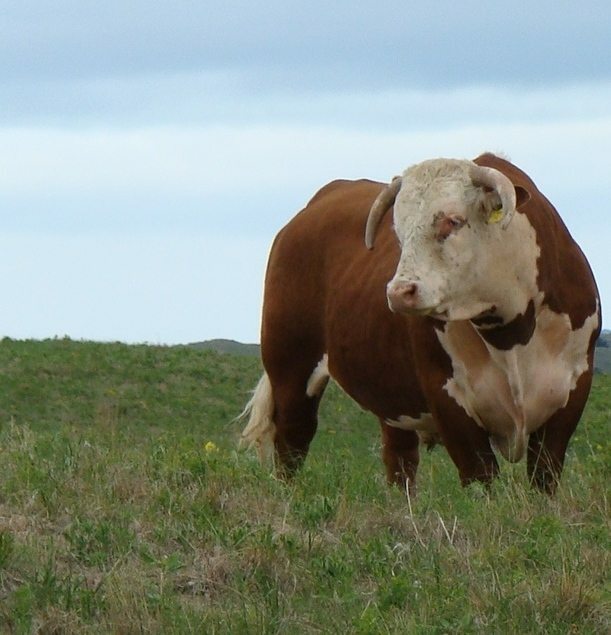 In 1973 John purchased the ranch’s first L1 sire from the then Cooper/Holden sale in Montana. 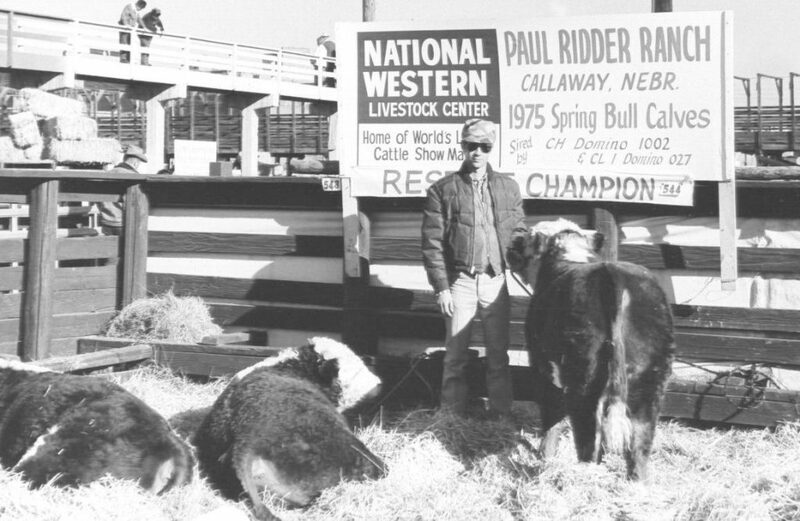 John showed his first carload at the National Western two years later. 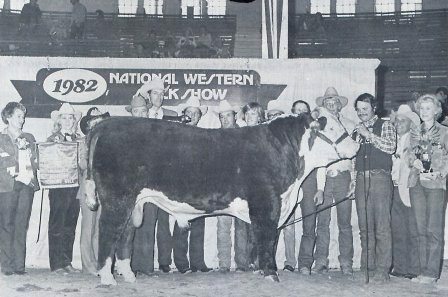 Nine years later – in 1982 – he won the National Western’s Grand Champion Hereford Bull “on the Hill” with L1 Domino G081 or Metric. 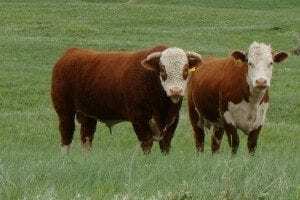 John and Mary began purchasing Canadian Herd Sires in 1989, using both Line 1 and Canadian Herd Sires to great success. 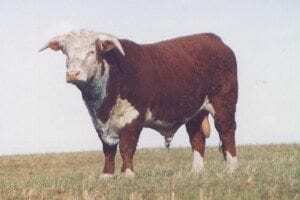 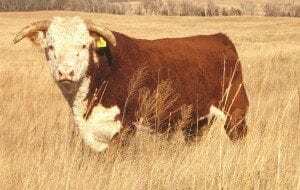 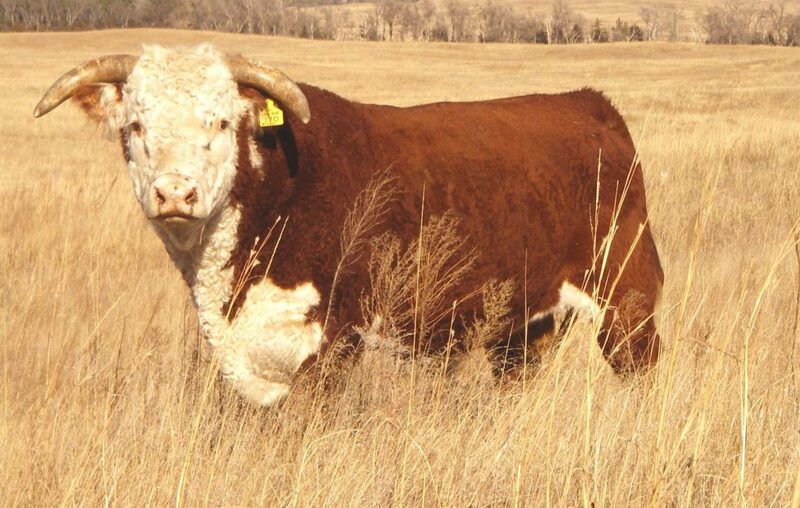 One of the most prolific and all-around outstanding Herd Sires Ridder’s have used is K 64H Ribstone Lad 157K, used by breeders across the U.S. and Canada, Horned and Polled alike. 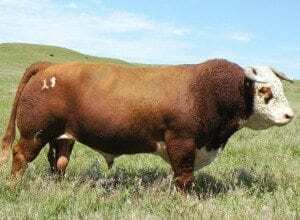 Please see our Herd Sire page for our current Herd Sires. 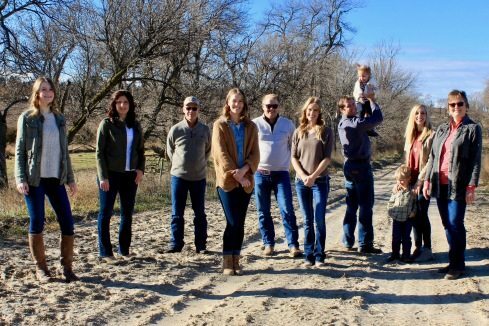 While standing on the shoulders of family and fellow breeders who came before us, we also look forward through the eyes of our children who all remain vitally involved in our ranch while pursuing their individual careers.